The prototype looks pretty similar to the K-ZE concept. Spy shots credit to Weibo. India’s RNTBCI (Renault Nissan Technology & Business Center India) spearheaded the development of Kwid, based on the alliance’s CMF-A platform. However, development of the electric version of Renault’s low-cost micro-crossover is happening in China. Renault and it’s Chinese partner Donfeng has created a new joint venture last year under the banner eGT New Energy Automotive which is responsible for coming with the Kwid EV. 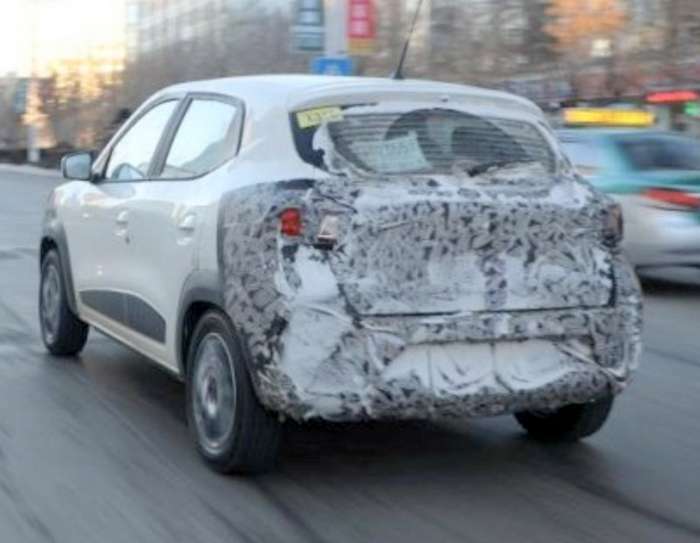 The first prototypes have already started testing in public, signalling that things are progressing as per plans. We expect to see the production version ready for the Chinese market towards the end of this year and reach Europe by 2021. India being a primary market for Kwid, the pure electric version will eventually be launched in our market. In fact, last year, the French automaker announced that it will launch four new products in India by 2022, of which one will be an EV. The Renault Kwid electric was previewed in the form of K-ZE near production concept on the eve of Paris Motor Show 2018. The camouflaged prototypes spotted in China look pretty close to the concept, complete with narrow LED lights. Given that the electric Kwid will also have Europe in its list of target markets, it will be significantly more premium than the regular versions that are currently on sale in India and Brazil. While the basic shape and dimensions remain similar, the Kwid EV will feature a larger front grille, sportier bumpers, new LED detailing for the taillights, funkier alloy wheels, etc. The interior too will have an upmarket appeal with plusher seats, better connectivity, and additional features. 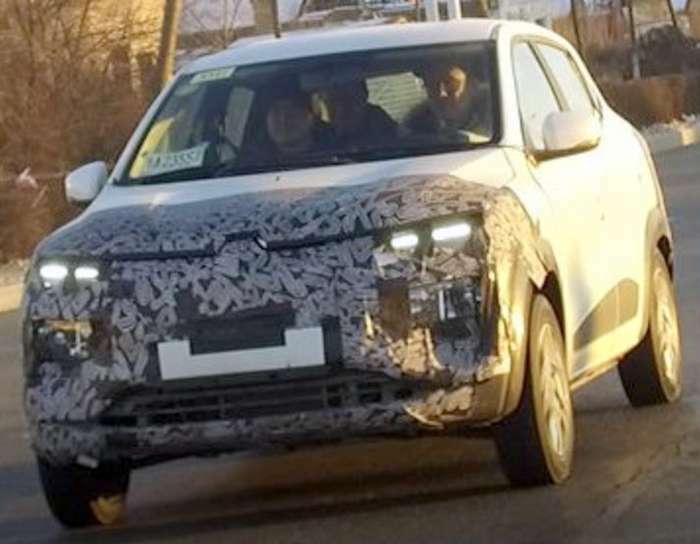 Not much is known about the technical aspects of the Kwid electric’s powertrain but the manufacturer has revealed that the EV variant will employ new sub-frame and axles. Given that competitive pricing will be the Renault Kwid’s USP, the micro-crossover is expected to employ a brand new powertrain which is developed from scratch with strict cost targets rather than simply borrowing its hardware from the ZOE. The K-ZE concept has a claimed range of 250 km, so we expect the production model to stay in the ballpark. In India, the Renault Kwid EV would be competing with the likes of pure electric versions of Maruti WagonR, and Tata Tiago. All these are planned for launch post 2020.